According to DIN 51060, these are materials which have a Seger cone drop point greater than SK 17 (about 1500°C), but this definition has practically no meaning. In general, refractory materials are ceramic materials that are used permanently at temperatures above 600°C. The materials are grouped in oxidic or non-oxidic refractory materials. Oxidic materials are mostly based on SiO2, Al2O3, MgO, CaO, ZrO2 and Cr2O3. The most important non-oxidic refractory materials are carbon or carbides and nitrides for special applications. 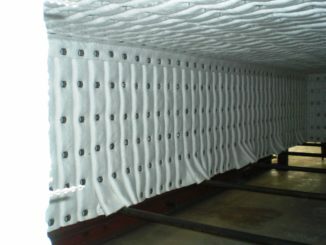 High temperature insulation products are used in industrial applications to minimize the heat/energy loss. These insulation materials have a porosity >45%. High and fine porosity leads to low thermal conductivity. We dedicate a complete page on thermal conductivity later (work is in progress). Which insulation materials are used is usually determined by the application. Operating temperature, chemical resistance and system operation (temperature change) specify the type of insulation material. 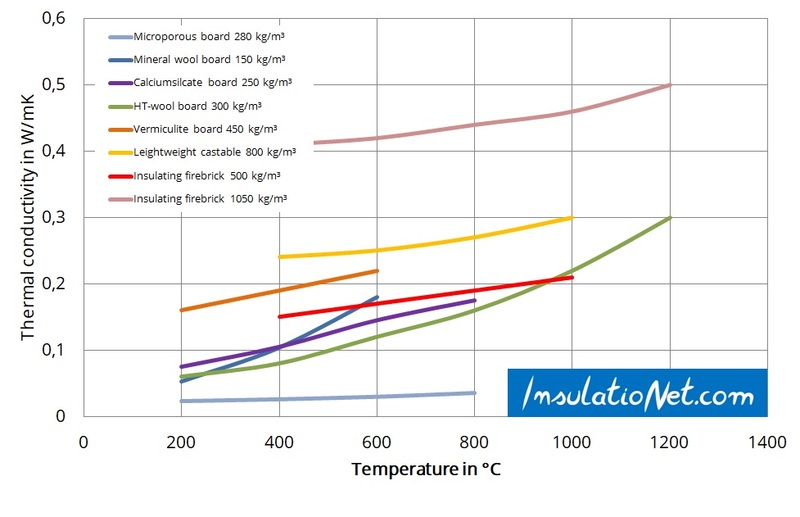 The differences between the thermal insulation products are illustrated by a comparison of typical thermal conductivities. The materials differ not only in thermal conductivity but also in other properties (bulk density, strength, thermal shock resistance, chemical resistance). More information about high temperature insulation materials can be found on this website. We explain important features, advantages and disadvantages.